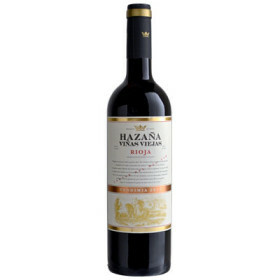 A custom cuvée made by Eric Solomon and Rafael de Haan, the 2015 Hazana Vinas Viejas is a classic, old school styled effort based on 85% Tempranillo and 15% Graciano aged 10 months in French and American oak. With medium to full-bodied richness, excellent concentration, and lots of chocolatey dark fruits, new leather, dusty earth, and graphite notes, it’s one hell of a wine for 14 dollars. Drink: 2018-2023.